This week we have numbers from legal debt collectors, a consumer helpline and a call centre, for your entertainment. Personal information and loans seem to be of equal worth to both debt collectors and call centres, and they pursue them with all their might, turning a deaf ear to any protest! The first number is 08433770317 and the owner seems to be Drydens Fairfax solicitors, who work for HMRC. They play the part of debt collectors, calling people who still have open payments to their name. The trouble is that the Drydens Fairfax solicitors are a bit behind the times: they’re also calling people whose debts have already been paid. The second number 08445766235 belongs to the Consumer Helpline and it’s not quite clear why they’re calling but it’s fairly safe to assume that they’re hoping to collect some of your personal information during the call. And the third number 08000524264 belongs to a call centre which works with different insurance companies (like Admiral, Bell and Elephant) and in one case, the caller introduced himself as O2. You can always ask them to remove your number from their books and hope for the best. No info left on answerphone-repetitive calls/hangups. 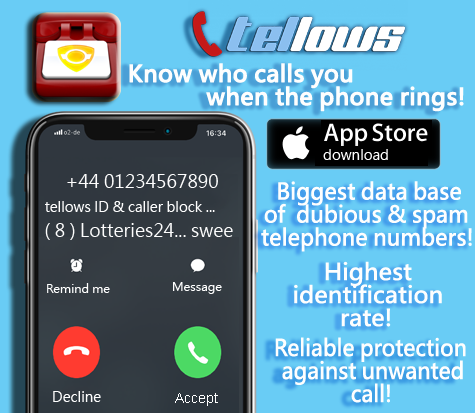 If you’re getting nuisance calls like these, please don’t hesitate to share your knowledge on tellows! It really can help other users spot a nuisance caller a mile off, saving all of you a lot of time and energy. This entry was posted in Weekly Top 3 Nuisance Callers and tagged Admiral Insurance, call center, CALL CONNECTION, Consumer Helpline, debt collectors, Drydens Fairfax solicitors, HMRC, o2 on Friday October 25th, 2013 by polly. Another week and new numbers for you to be aware of. Although this week was rather uninteresting, we still found our Top 3 numbers which present a happy mix of different tellows scores: from a 2 to a 7. Not all the numbers are untrustworthy but that doesn’r mean that they can’t annoy you to death if they want to. 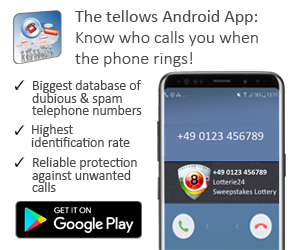 The difference is that trustworthy numbers have the ability to negotiate the possibility of the removel if your number from the calling lists. You just have to demand it. Now let’s see which numbers were looked up the most this week. Our first number 1142565286 is from Sheffield – United Kingdom and it belongs to Motorway Direct. “Car protect” is just one of their companies and they call the people in order to offer them a car warrenty. It’s a great coincidence that the call comes exactly at the time when your own warranty expires. The second number 08003289393 with the amazing score of 2 is from British Telecom and it either calls it’s clients in order to inform them of important changes or new proposals, or they call potential customers to offer them their services. This number is associated with BT either accounts or engineering and would only be calling for a legitimate reason. And finally our third number 08003160492 belongs to the Littlewoods Company or to Kay& co, that’s still unclear, but it seems to be a courtesy call, like after an order, they call to confirm the details. The strange thing is that in some cases no one ordered anyrhing. So if it’s a normal call and you really ordered something, then you have nothing to fear but otherwise be careful of revealing personal information. This entry was posted in Weekly Top 3 Nuisance Callers and tagged British Telecom, Car protect, car warrenty, Kay& co, Littlewoods Company, Motorway Direct, nuisance calls on Friday October 11th, 2013 by polly.